Sometimes people think evolution is about dinosaurs. It is true that natural history plays an important role in inspiring and directing our understanding of evolutionary process. Charles Darwin was a natural historian, and evolutionary biologists often have strong affinities with the natural world and its history. Though many people exhibit a fascination with the flora and fauna around us during childhood, often the greatest biologists retain this wonderment well into adulthood (if you read W. D. Hamilton’s collections of papers, Narrow Roads of Gene Land, which have autobiographical sketches, this is very evidently true of him). But another aspect of evolutionary biology, which began in the early 20th century, is the emergence of formal mathematical systems of analysis. So you have fields such as phylogenetics, which have gone from intuitive and aesthetic trees of life, to inferences made using the most new-fangled Bayesian techniques. 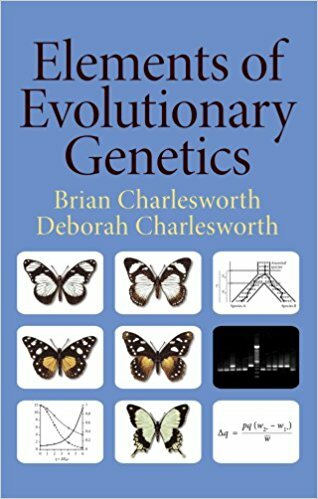 And, as told in The Origins of Theoretical Population Genetics, in the 1920s and 1930s a few mathematically oriented biologists constructed much of the formal scaffold upon which the Neo-Darwinian Synthesis was constructed. At the highest level of analysis evolutionary process can be described beautifully. Evolution is beautiful, in that its end product generates the diversity of life around us. But a formal mathematical framework is often needed to clearly and precisely model evolution, and so allow us to make predictions. R. A. Fisher’s aim when he wrote The Genetical Theory Natural Selection was to create for evolutionary biology something equivalent to the laws of thermodynamics. I don’t really think he succeeded in that, though there are plenty of debates around something like Fisher’s fundamental theorem of natural selection. But the revolution of thought that Fisher, Sewall Wright, and J. B. S. Haldane unleashed has had real yields. As geneticists they helped us reconceptualize evolutionary process as more than simply heritable morphological change, but an analysis of the units of heritability themselves, genetic variation. That is, evolution can be imagined as the study of the forces which shape changes in allele frequencies over time. This reduces a big domain down to a much simpler one. Genetic variation is concrete currency with which one can track evolutionary process. Initially this was done via inferred correlations between marker traits and particular genes in breeding experiments. Ergo, the origins of the “the fly room”. 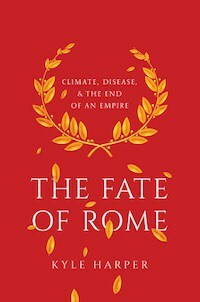 But with the discovery of DNA as the physical substrate of genetic inheritance in the 1950s the scene was set for the revolution in molecular biology, which also touched evolutionary studies with the explosion of more powerful assays. Lewontin & Hubby’s 1966 paper triggered a order of magnitude increase in our understanding of molecular evolution through both theory and results. 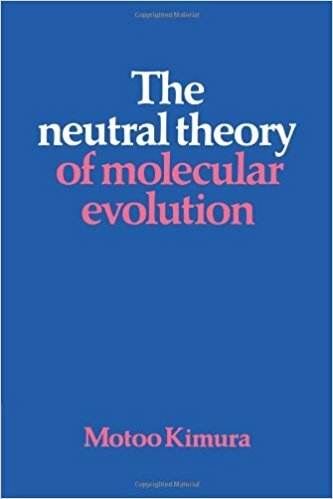 The theoretical side occurred in the form of the development of the neutral theory of molecular evolution, which also gave birth to the nearly neutral theory. Both of these theories hold that most of the variation with and between species on polymorphisms are due to random processes. In particular, genetic drift. As a null hypothesis neutrality was very dominant for the past generation, though in recent years some researchers are suggesting that selection has been undervalued as a parameter for various reasons. Setting the live scientific debate, which continue to this day, one of the predictions of neutral theory is that the rate of evolution will depend only on the rate of mutation. More precisely, the rate of substitution of new mutations (where the allele goes from a single copy to fixation of ~100%) is proportional to the rate of mutation of new alleles. Population size doesn’t matter. The algebra behind this is straightforward. First, remember that the frequency of the a new mutation within a population is , where is the population size (the is because we’re assuming diploid organisms with two gene copies). This is also the probability of fixation of a new mutation in a neutral scenario; it’s probability is just proportional to its initial frequency (it’s a random walk process between 0 and 1.0 proportions). The rate of mutations is defined by , the number of expected mutations at a given site per generation (this is a pretty small value, for humans it’s on the order of ). Again, there are gene copies, so you have to count the number of new mutations. So there you have it. The rate of fixation of these new mutations is just a function of the rate of mutation. Simple formalisms like this have a lot more gnarly math that extend them and from which they derive. 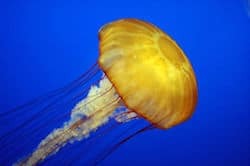 But they’re often pretty useful to gain a general intuition of evolutionary processes. 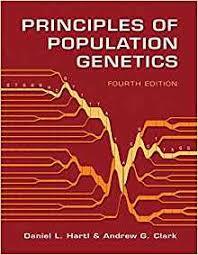 If you are genuinely curious, I would recommend Elements of Evolutionary Genetics. It’s not quite a core dump, but it is a way you can borrow the brains of two of the best evolutionary geneticists of their generation. Also, you will be able to answer the questions on my survey better the next time! First, remember that the frequency of the a new mutation within a population is , where N is the population size (the 2 is because we’re assuming diploid organisms with two gene copies). a problem in the latex. i fixed it. This makes intuitive sense because if it weren’t true, variation in a fixed population would increase forever, which is clearly impossible. At some point, the number of variations going into the population needs to equal the number of variations going out of the population. Exactly. Many people confuse selection and their associated selective sweeps, as well as founder effects and genetic drift for “evolution”. This might be because Darwin (and others) focused on the obvious examples of plants and animals with drastic changes in morphology, which often arise in those situations. It is just as important to realize that ‘living fossils’ (like horseshoe crabs or ginkgo trees) are under strong selection and evolutionary pressure to NOT change. They are just as ‘evolved’ as other organisms. However, some organisms/cells do actually evolve faster, usually because they have a genetic defect causing more mutations to occur than would otherwise, or to not be eliminated. This often happens in parasites, and in humans, cancer cells are a great example. The first sentence, N individuals, each with 2 copies of the gene (except in cases like Parkinson’s…) strikes me as more likely correct (i.e., what is meant). I’m seeing your LaTeX on the Chrome browser. Congratulations! Little .svg files that enlarge beautifully.